Cayson Carraway was born weighing 7 pounds, 6 ounces. A 12-year-old girl who was captured in photos delivering her baby brother now has dreams of becoming an obstetrician. Jacee Dellapenna helped her mother’s doctor to help bring baby Cayson into the world on June 6. Mom Dede Carraway told ABC News she was "extremely" proud of her daughter's actions. "Every picture you see her face changing," added Dede Carraway of Brandon, Mississippi. "Just looking at her, there was not a dry eye in the room. It was so emotional." 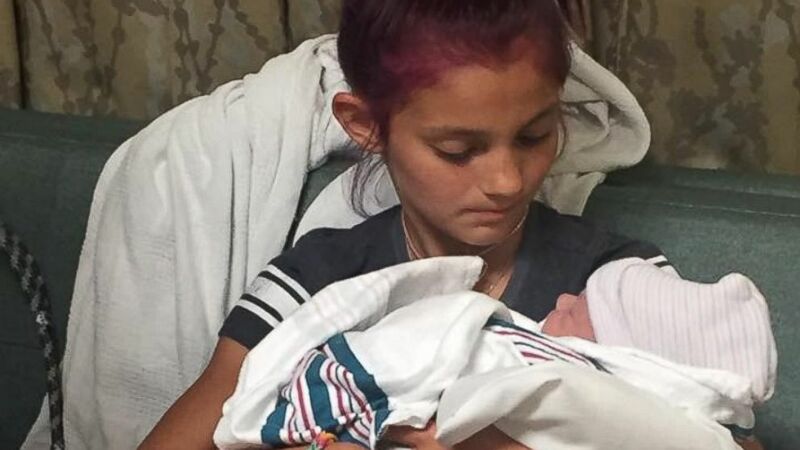 (Courtesy Zack and Dede Carraway ) Jacee Dellapenna, 12, helped her mother Dede Carraway deliver her baby brother, Cayson Carraway, who was born on June 6, 2012, weighing 7 pounds, 6 ounces. Dede Carraway, a mom of three, said Jacee asked permission to be present in the delivery room for the birth of her brother. Dede and her husband, Zack Carraway, discussed Jacee's request and agreed. The day of Cayson's birth, Jacee was upset that she didn't have a good view of him being born. It was then where obstetrician, Walter Wolfe, invited her to assist in the birth. A spokesman at Mississippi Baptist Medical Center confirmed to ABC News in an email that the Carraway baby was born at the facility. 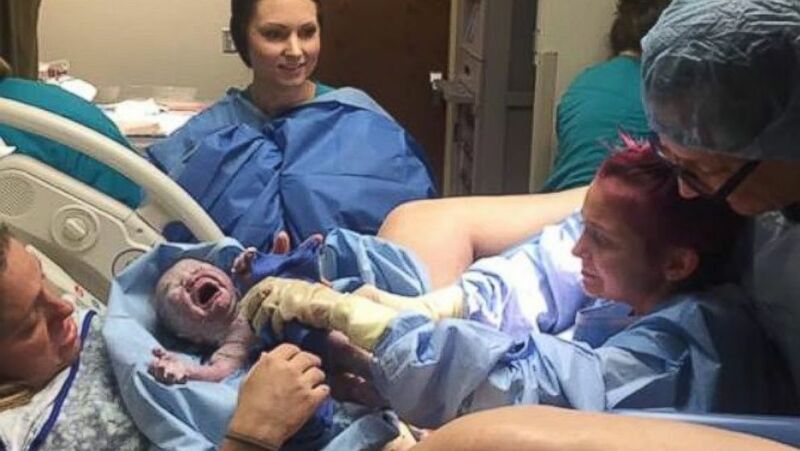 Jacee's stepdad, Zack Carraway, snapped pictures of the touching moment when Cayson was born. The images quickly received thousands of responses on Facebook, Dede Carraway said. "She's just like, 'Mama I'm famous!'" Dede Carraway said of her daughter. "If I didn't feel like she wasn't ready to do what she did or be in the room, I wouldn't [have] let her be in the room. Everybody's just real supportive of her. "[A]fter she did this hands on she said, 'Mom, I want to be an OB-GYN." He joins big sister Jacee and 1-year-old brother Zadyn.